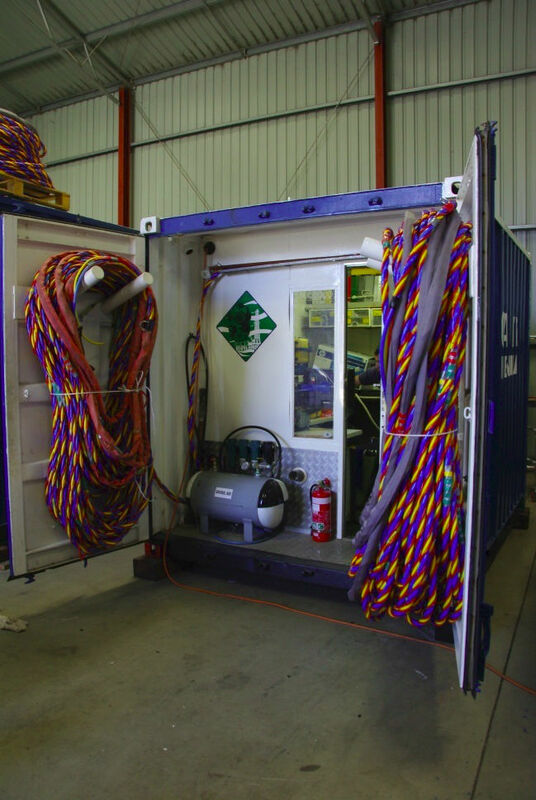 The Scuba Replacement Pack (SRP) Diving System is IMCA D 040 compliant and permanently housed in an air conditioned, insulated 10ft container complete with dedicated rigging slings for ease of mobilization. Only one cable is required to power-up the system and a 1Kva generator is also provided. 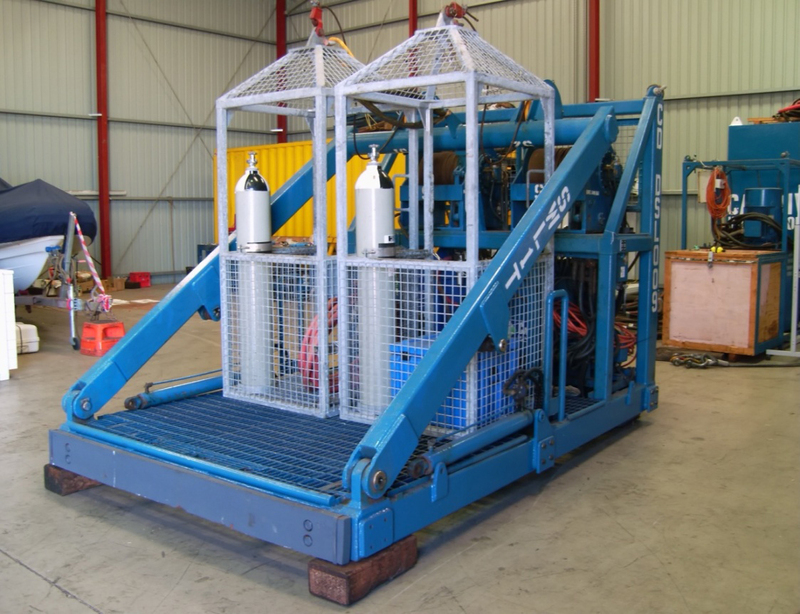 The SRP Dive System is supported by one LP air compressor and only requires 2 additional HP gas packs for quiet and efficient operation of the diving equipment. Shelf Subsea uses ultra light ‘helically twisted’ dive umbilicals, with both Diver 1 and Diver 2 umbilicals fitted with video cables. 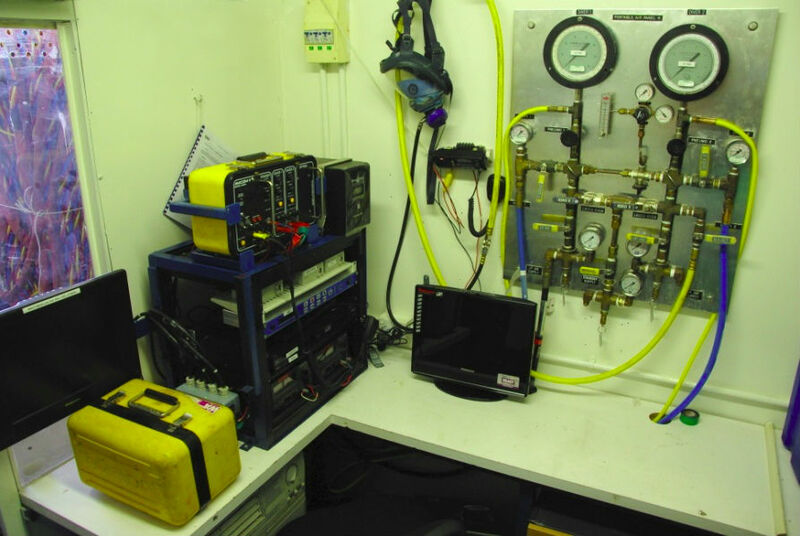 A spare video camera and lights are carried as standard, with digital cameras, UT meters and CP meters also available. 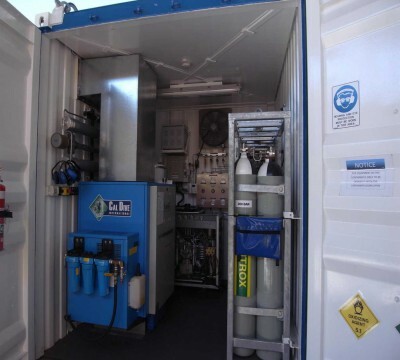 This system is ideal for vessels with limited deck space. 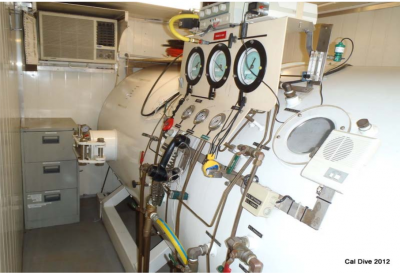 The Shelf Subsea Hyperbaric Recompression Chamber is used in support of onshore and nearshore Air and Nitrox diving operations in remote locations. Housed in an insulated and climate controlled 20ft ISO container, this system is portable and able to be mobilised at short notice. An LP and HP compressor, and HP Air & Oxygen quads travel with the chamber. 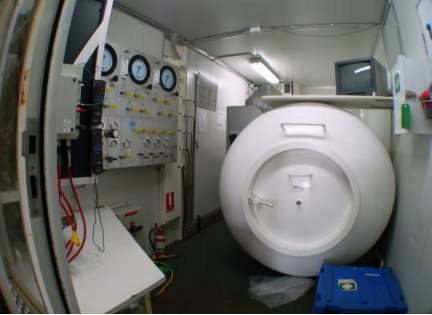 All equipment is maintained to IMCA guidelines and Australian AS2299.1 diving standards.